The holiday season is here. You have buckled up your sales strategy and sorted the right audience to target. All you need now is a logistics service to ship your products to your customers. Can’t figure out which logistics partner can cater to the needs of your business efficiently? Worry no more! We have a list of the top 10 courier Services for the holiday and peak season that will help your packages reach your customer’s doorstep hassle free. Shipping during the holiday season can be a great challenge for the sellers. There is a massive surge of orders, and your customers don’t want to wait for days for their package. Furthermore, the lack of an efficient shipping strategy can end up costing you more. The only solution out of this is to choose a courier partner that can cater to the needs of your business and customer. DHL is one of the world’s most renowned courier partners. It was established in the year 1968 and operates in more than 200 countries across the globe. You can ship your products in India as well as other countries via DHL. FedEx is popular because of its reliable service and competitive prices. It operates in different countries. However, it has limited coverage as compared to other carriers. If you are shipping with FedEx, you must consider using other carrier services for the pin codes not covered by it. Another new courier service in the market is Ecom Express. It is ideal for shipping your eCommerce packages to plenty of PIN Codes in India. Ecom Express offers competitive rates for shipping with COD facilities as well. BlueDart is one of the most widespread courier services in India. They have a great track record of package delivery and good customer service as well. A lot of eCommerce companies use BlueDart for delivering their packages. BlueDart was acquired by DHL recently. Aramex is a UAE based company that has a wide delivery network in India and other countries across the globe. You can use Aramex to ship products across the globe during the holiday season. With a satisfactory level of customer service, Aramex makes a good choice for shipping during the holidays. Gati couriers is an Indian logistics delivery service. The company was established in the year 1989 and has pioneered the field of express delivery across India. Gati can also be used to ship to Asia Pacific regions and SAARC countries. Another one of the widely used courier services in India is Xpressbees. It has an extensive delivery network around India and is being used by a lot of newly established eCommerce businesses. Shadowfax reverse is a low-cost option for reverse logistics. You can track your orders easily with them and deliver to a wide range of locations across India. The company was established in 2015 and has grown considerably ever since. DotZot is an eCommerce order delivery service that is run by DTDC. The company facilitates the delivery and pick-up of packages from the seller’s store. With over 180 offices in India, DotZot is a reliable service that also offers reverse delivery options. Delhivery is one of the most reliable courier services in India. It started in Delhi and gradually grew to delivering packages all across India. You can also ship your orders internationally with them. It has an unbeatable delivery and shipping rates. The first step in choosing the right courier partner for your business is analyzing the demands of your customer. Study the target market and determine the number of orders you are expecting in the holiday season. It will help you prepare your business and pick a combination of courier partners depending on your requirement. However, relying on any single courier partner can be tricky, which is why you must utilize a combination of courier services. Shiprocket offers integration with all of these top courier partners for the holiday season. 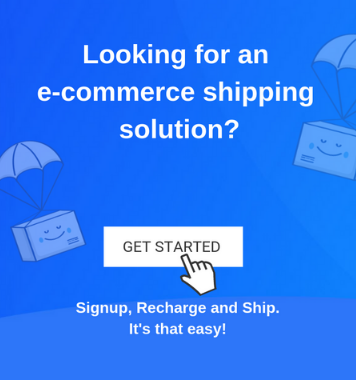 You can find the lowest shipping rates here along with multiple other functionalities for your business.